Eboni Beckford-Chambers and Mia Ritchie will be bringing their outstanding talent and experience back to the Blue & Gold for the 2019 Vitality Netball Superleague season after becoming the latest players to recommit to Team Bath Netball. The duo can boast 17 seasons of playing experience between them in the famous Blue & Gold. Inspirational defender Beckford-Chambers, captain of Team Bath for the past three years, was part of the England Netball squad that won a historic Commonwealth Games gold in 2018. 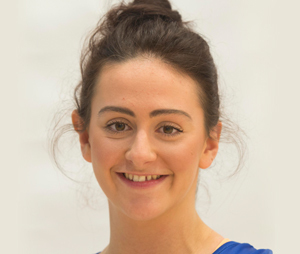 “I’m excited to be staying with Team Bath Netball for the 2019 season ahead of what will be an exciting year for netball in the UK,” said Beckford-Chambers, who combines her netball with being a Trainee Solicitor at West Country law firm Mogers Drewett. Mid-court ‘pocket rocket’ Ritchie, a University of Bath graduate, is Team Bath’s longest-serving player and will wear the Blue & Gold for a tenth successive Vitality Netball Superleague season in 2019. The Head of Girls’ Games at Monkton Combe School, Ritchie said: “I am very much looking forward to being back in the Blue & Gold this season. Beckford-Chambers and Ritchie will both continue to play strong leadership roles for Team Bath in 2019 alongside the two other confirmed names in the Vitality Netball Superleague squad, player-coach Rachel Shaw and returning England star Serena Guthrie. Jess Thirlby, Team Bath Netball Head Coach, said: “Eboni and Mia are two of the longest serving players we have at Team Bath. Their loyalty is outstanding and can be a rarity in the competitive landscape we all now work in. “They are well respected by their team-mates and are both favourites with the fans. We are so pleased that they believe the Blue & Gold remains the best place for them to develop and pursue another title with the team. Team Bath quickly got back to winning form in comfortable fashion last night in their 30-goal win over Team Northumbria. Team Bath Netball got back to winning ways in style on Friday as they recorded a 58-28 home victory over Team Northumbria in the 2016 Vitality Netball Superleague. Another four-figure crowd at the Team Bath Arena saw the home team put last week’s defeat to Manchester Thunder behind them with a performance that grew in confidence and quality as the match progressed. Head Coach Anna Stembridge said: “It was a really good response. We were a lot more clinical in attack and we worked hard in defence to secure plenty of turnovers. With Asha Francis resting a back injury, Rachel Shaw and Mia Ritchie moved into goal-attack and wing-attack respectively. That meant a first Superleague start in five years for Jo Vann at centre, while Samantha Cook and Shaunagh Craig were in the match-day 12 for the first time this season. Team Bath were looking for a positive start after last week’s disappointment and they got it as Shaw and goal-shooter Lenize Potgieter quickly fired the hosts into a 6-2 lead. However, a scrappy period of play saw Team Bath struggle to make the most of their possession, allowing Team Northumbria to hit back with four unanswered goals from Tuaine Keenan. The visitors cancelled out Team Bath’s next couple of goals as well and Shanice Beckford missed a chance to put Northumbria ahead before two efforts in quick succession from Potgieter gave the hosts a narrow 10-9 lead going into the second period. A slow start after the break allowed the visitors to go ahead for the first and only time but, with Vann and player of the match Ritchie growing increasingly influential after swapping positions, Team Bath finally clicked back into gear. Some slick attacking and strong defensive interceptions, particularly from Brownie and Karla Mostert, helped Team Bath take control of the game as they moved from 12-11 down to 19-13 up. With Potgieter settling into a good shooting rhythm, the hosts were able to increase their half-time advantage to 27-15. Chelsea Lewis was introduced for Potgieter for the third period and immediately struck up a good rapport with Vann and Shaw, scoring three times in quick succession. A heavy fall could not stop Lewis as the Welsh international continued to regularly find the net, helping to grow the lead to 44-23. Lewis’s tumble was one of several by players from both teams in a physical encounter, with Northumbria replacement shooter Lynsey Armitage even losing a contact lens in one tussle with Eboni Beckford-Chambers. With the game won, Team Bath took the opportunity to give Cook her first run-out of the season after injury and the England defender slotted back in seamlessly, with every interception receiving a huge cheer from the 1,200-strong crowd. “It was great to see Sam back out there,” Stembridge said. Alana John and Amanda Varey also came on to make good contributions to a fine victory, with the 30-goal winning margin sealed by Lewis on the buzzer. Next up for Team Bath is a trip to Wales to face Celtic Dragons on Saturday, February 27 (4pm), quickly followed by two home matches in the space of four days. High-flying Hertfordshire Mavericks visit Team Bath Arena on Monday, February 29 before Loughborough Lightning arrive on Friday, March 4. Both games start at 7.45pm and tickets are available from www.teambath.com/events/ticketline or by calling 0844 888 4412.